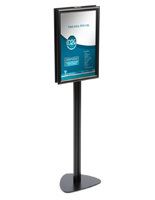 Sized for 11" x 8-1/2" or 14" x 8-1/2"
These lobby signs are designed to point guests and customers in the right direction. 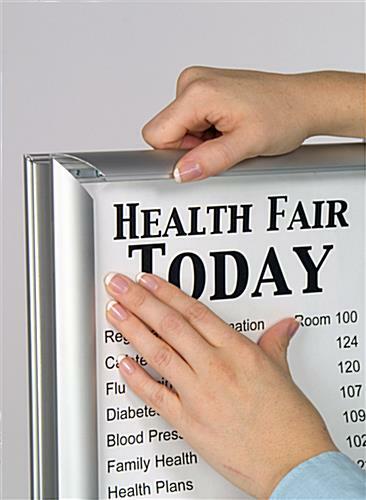 Each indoor directory is made of sturdy aluminum. 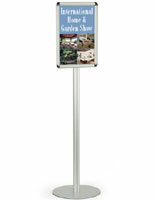 The silver signs stand at 55" tall to be noticed by any customer. 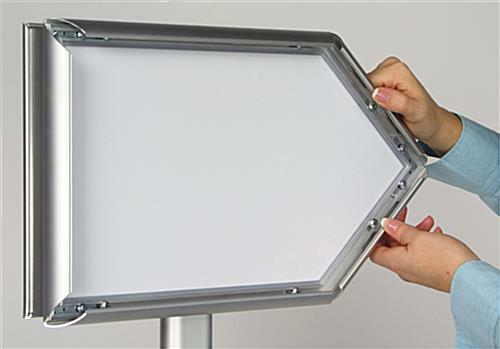 The 8 1/2" x 11" poster holder holds custom messages and graphics. 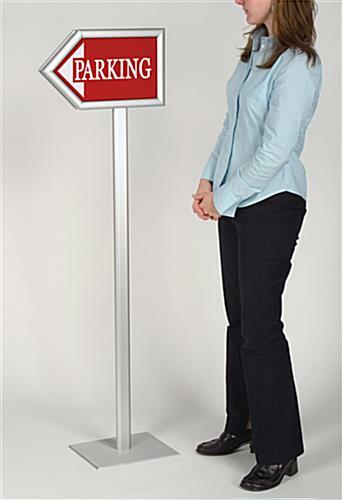 Each sign is perfect for lobbies and waiting rooms. 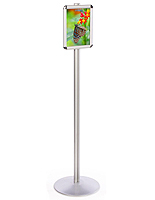 Order the freestanding display for your hotel, hospital or office today! 16.8" x 54.8" x 9.8"